We use Chinese Herbal Bags to relieve pain and improve blood circulation. "Tui Na" is one of traditional Chinese therapies,which dates back to 2500 BC.The acpuncture theory as well as Chinese Tui Na Therapy believe that different Points in the body act as Gates regulating the energy flow or Chi and nurture the organs.Oriental theory sees our life force distributed by rives(called Meridians)or lines of Chi.As ancient thoughy sees our energy as traveling in rivers within the body.It is believed that the balance of energy called Chi is a Key to vitality.Chinese Tui Na Therapy uses the meridian lines of energy and acupressure points seek to help the body balance its forces and free its potential for vitality and wellness. It is based on a system of zones and reflex areas that purportedly reflect an image of the body on the feet,with the premis that such work affects a physical change to the body..Acupressure massage techniques involve applying pressure to certain areas of the body in order to release pain and induce relaxation.There are a number of pressure points located on the soles and toes.The pressure received in the feet may send signals that balance the nervous system and reduce stress and pain.A number of massage techniques can be used to make the session a truly relaxing and enjoyable experience. Both reflexology and acupressure target these pressure points to stimulate a response;different areas of the feet can be massaged with varying amounts of pressure to stimulate or telax the nervous system,induce deep relaxation or even reduce pain in other parts of the boy.Foot reflexology specifically targets this system of zones and reflex areas that effects a physical change in the body. 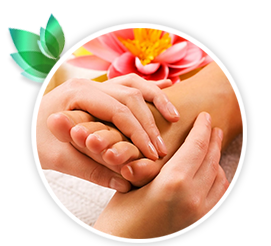 Welcome to TuiNa Massage & Health Center. Start your healthier lifestyle by visiting your neighborhood Massage today for the best massages around. You'll find that the best place for massages is just outside your door.